I love hiking through the woods. Whenever I am walking through the piney woods of northwest Florida it is a chance to slow down and observe. It a place of sanctuary, a vista to rest my mind, and a spot to communicate with the Creator. Just padding through the forest with my Australian shepherd, Buddy, and a camera is relaxing, and I can take pictures at my leisure. Recently I learned about how to manage woodlands. My wife and I own 20 acres of old forest in the Florida panhandle. Part of the forest had mature pine trees and needed to be harvested. So…how could we harvest the pines without destroying the integrity of the land? The chief of the cutting crew told me that we would do a “seed cut” of the lumber; this means that they left some mature pines standing and, if burned within a few months, new growth will start to come next summer. 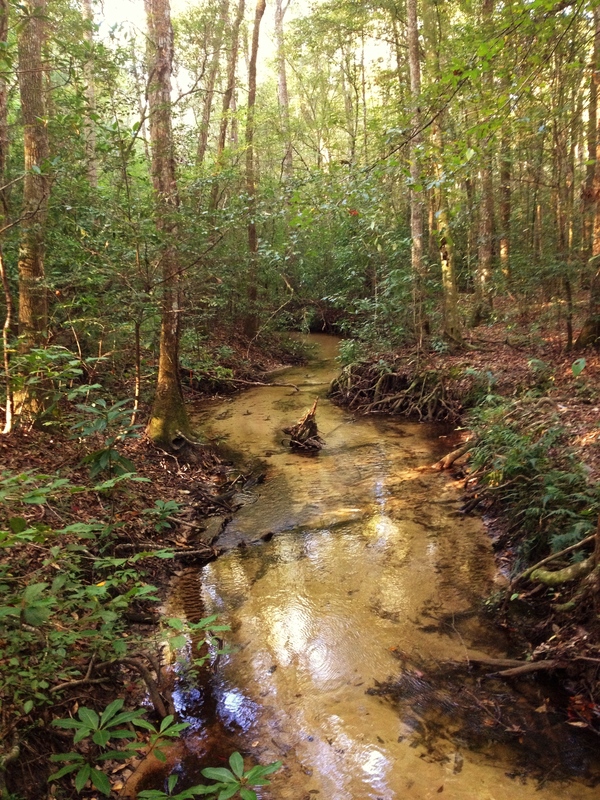 Here in northwest Florida large tracts of forestland, although primarily planted commercially for timber harvesting, have other benefits: they are a refuge to wildlife, protect river watersheds, and provide a natural filtering system to purify water. Many tributaries to rivers begin in a forest area flowing through marshes, creeks, and swamps. One of my favorite places to hike through is the Apalachicola Bluff and Ravines Preserve north of Bristol, (locally known as the Garden of Eden). 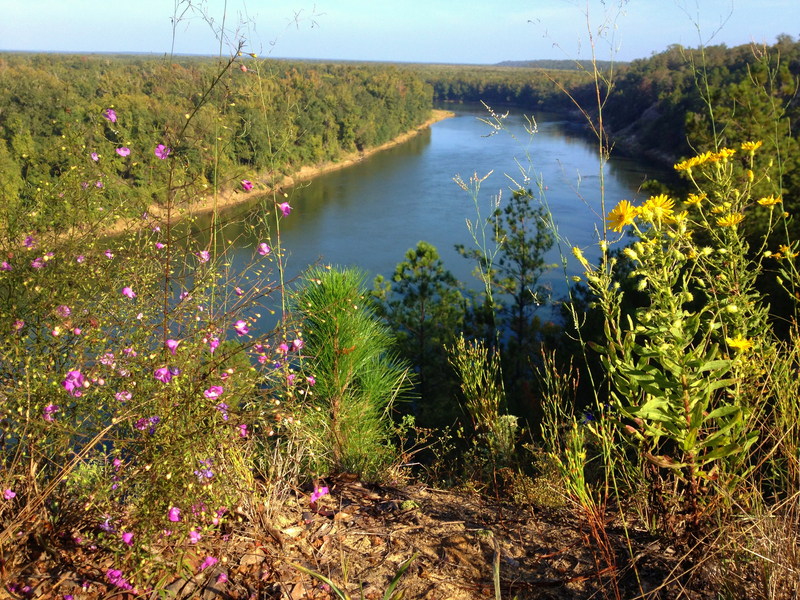 It is a three mile hike to the top of Alum Bluff which stand over 130 feet above the Apalachicola River. The trail skirts several steelhead ravines, unusual terrain for Florida. In the spring there are blooming dogwoods, azaleas, and other stunning forest flowers. Fall brings an array of colors, fall flowers and the unique smell of autumn. Just north you can find Torreya State Park. With a series of hiking trails, a river overlook, and a nice camping area, this is a great place to explore. One of the greatest gifts you can give this Christmas season is take your friends and family outdoors to hike, go bird-watching, and discover what is in your backyard. Memories are gifts that last a lifetime; get outside and connect with nature. 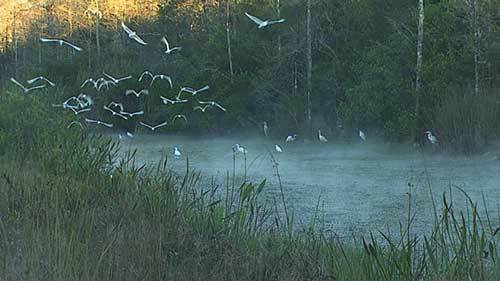 Travel north from Okeechobee for about 30 miles and you will reach the Kissimmee Praire Preserve State Park. It is a large tract, 54,000 acres, that protects one of the largest remaining stretches of Florida dry prairie and is home to an array of endangered plants and animals. From the entrance it’s a long drive into the park headquarters and the campground, at least 5 or 6 miles. 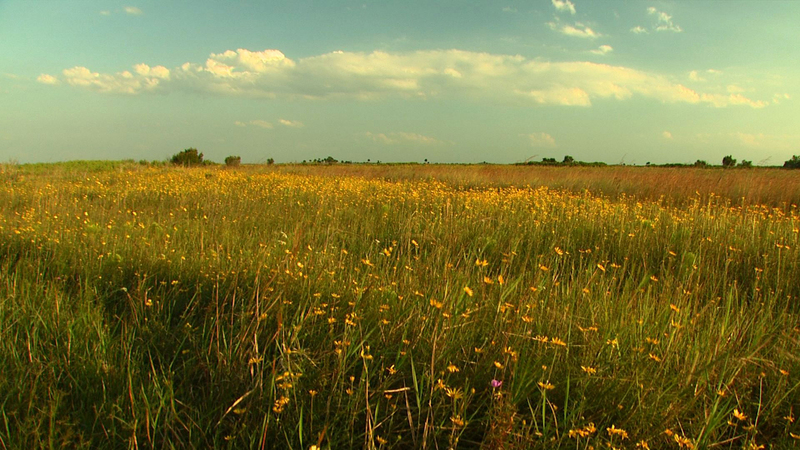 We usually don’t compare Florida’s landscape to the great plains of the Midwest, but Kissimmee prairie is grassland as far as the eye can see. 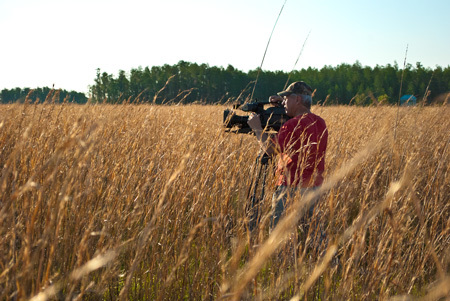 During the production of the documentary Kissimmee Basin: The Northern Everglades this area became one of my go-to places to film wildlife. The preserve offers excellent seasonal birding opportunities and is home to the endangered Florida Grasshopper Sparrow, as well as the Crested Caracara and Burrowing Owl. Early one morning, just at sunrise, I was traveling the main road in dense fog; I spotted a group of white-tailed deer foraging in the grass. In the herd was about 5 bucks with several sporting large antlers. This was a documentary filmmaker’s dream with the glow of morning light, soft fog, and tranquil deer. 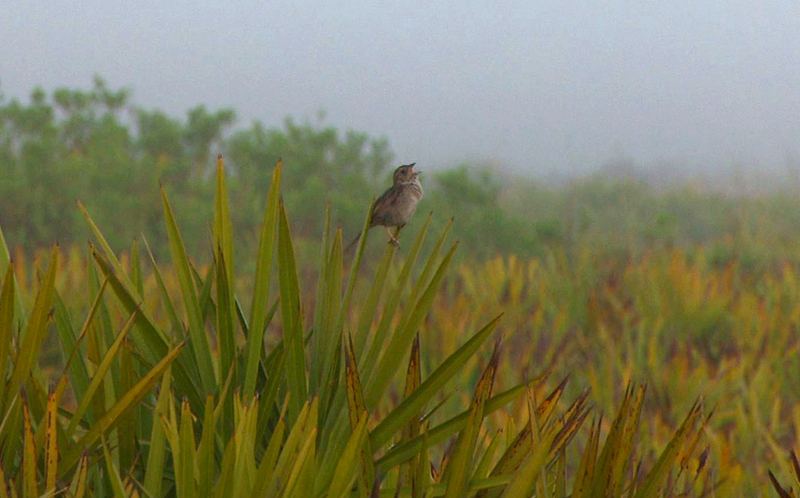 Later that morning I filmed a short segment on the endangered Florida Grasshopper Sparrow. This was a rare occasion to have the opportunity to document one of Florida’s most endangered birds. One of the best ways to get out on the preserve is take the swamp buggy tour with one of the park rangers. The ranger provides an is an excellent commentary on the landscape of the Kissimmee river basin, the vast trail system, and first-hand accounts on how the preserve is being managed. Another great thing to do at the preserve is stargazing. 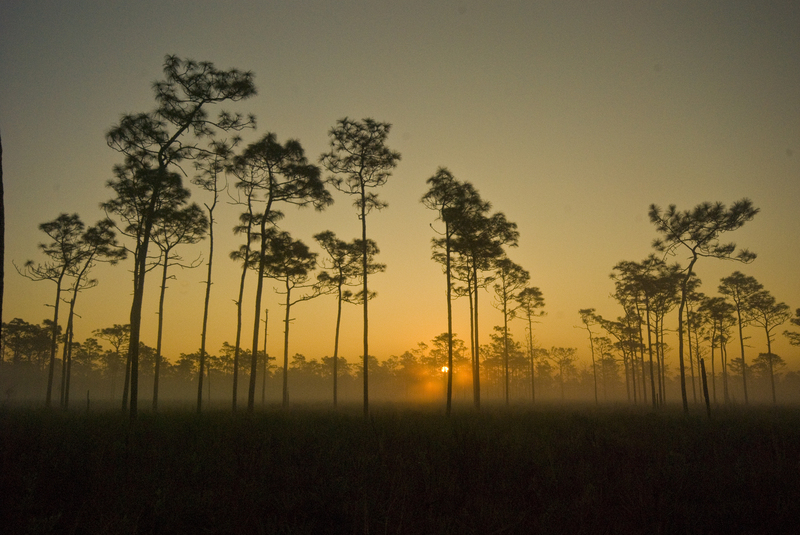 The Kissimmee Prairie’s remoteness makes it one of Florida’s premier locations for stargazing. This is on my bucket list to capture a series of time-lapse images of the stars across the prairies. 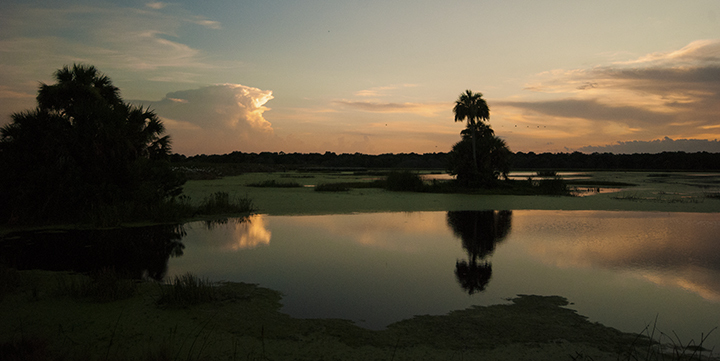 During the Florida Wildlife Corridor Expedition in 2012 the team trekked and camped at the preserve. After a grueling day, four grubby explorers were grateful for a camping facility with hot showers, electricity and running water. With lots of things to see and do, the Kissimmee Prairie Preserve State Park is definitely one of my top ten places to film and photograph in Florida. I hope you take time to explore and experience this unique landscape of Florida. Turkeys, and Bears, and Deer—Oh My! In autumn many hunters take their bows, guns, orange safety vests and other paraphernalia and head into their mecca, the woods, to scout out the perfect location to nab a prize buck or turkey (it’s illegal to hunt bears in Florida). As a young buck, I hunted white-tailed deer in the southern tier region of New York. When I picked up a camera, I traded the gun for a camera. Hunting with a camera includes the art of stalking: studying the species and understanding the social patterns of the creature. 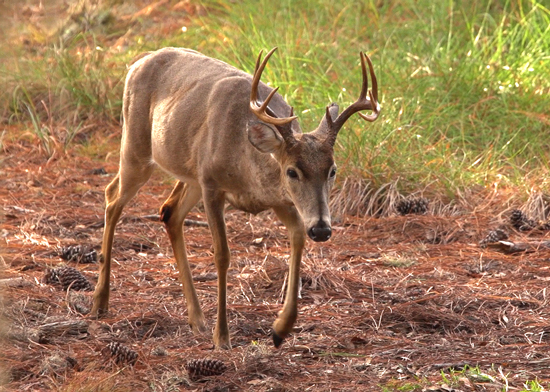 Here in northwest Florida, white-tailed deer are prolific. After a hearty lunch of corn, some of our furry-tailed neighbors like to swing by my house for a dessert of roses. My wife’s roses are her pride and joy. She loves sharing roses with her friends—and not her furry friends. It is an ongoing battle to outsmart the deer: we have tried everything from an electronic water sprinkler—called a scarecrow—to white plastic rope that you spray with stink-spray to ward off Bambi, to even marking our territory by asking me and Nic to pee around the rose bed. Oh my. Turkeys take skill to stalk and observe; they have keen eyesight and notice any movement. Behind our house is a tract of 30 acres of woodland—recently we have observed 7 turkeys coming through to forage and roost. Trying to film turkeys is a challenge, and if you can get quality footage of a turkey it is a great accomplishment. Florida black bear is a species I don’t have much experience with. 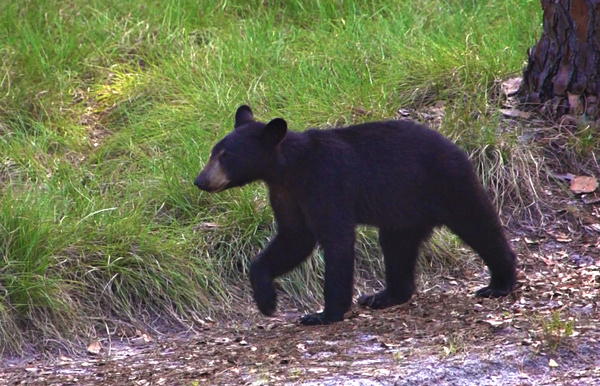 I continue to learn, observe, and read about the Florida black bear. Once, while up in a tree stand, I observed a mother bear and two cubs looking for food. They were on a constant lookout for any new smells and unusual movements; it was fascinating to just watch them. All these species are signature wildlife in Florida. 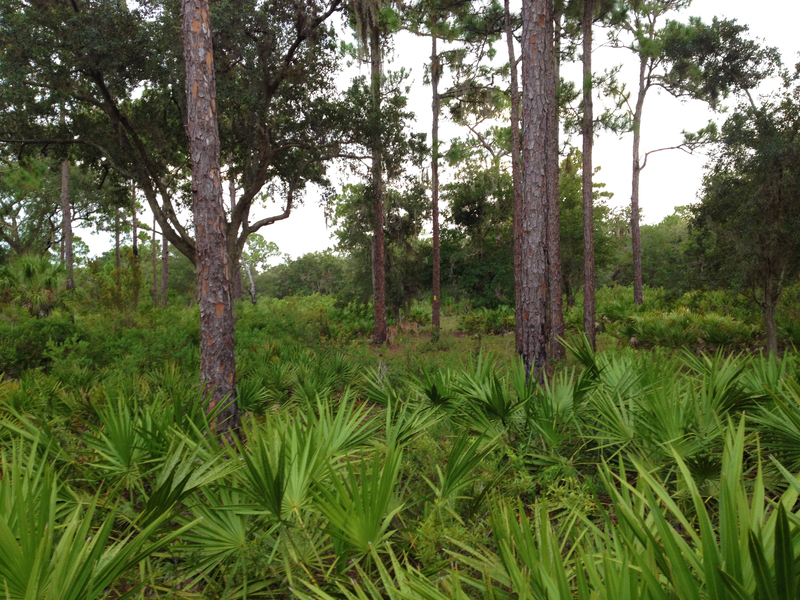 Turkey, bear, and deer can be observed in many areas across the wilds of Florida. Elam Stoltzfus wins an Emmy! 1000 miles in 100 days. 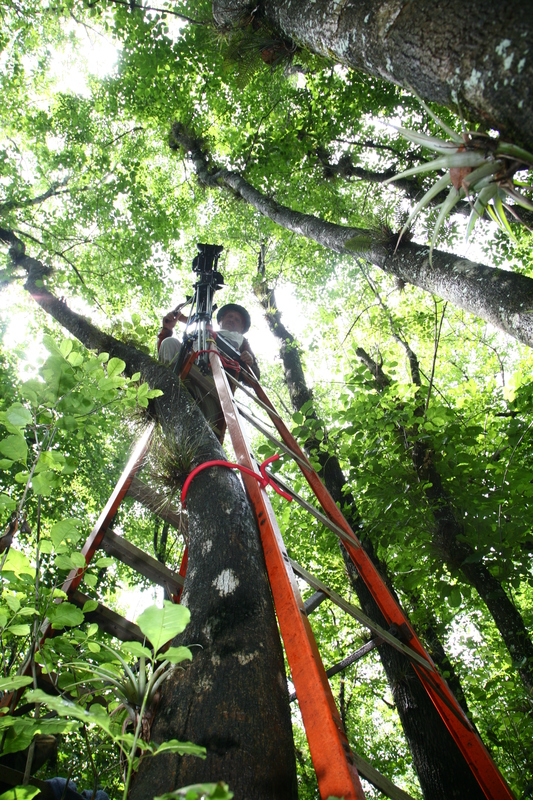 At the end of the Florida Wildlife Corridor Expedition, some people may have thought that the expedition was over and all the work finished. This is not the case. In the making of a film, post-production is one of the hardest stages and takes a lot of time and effort. 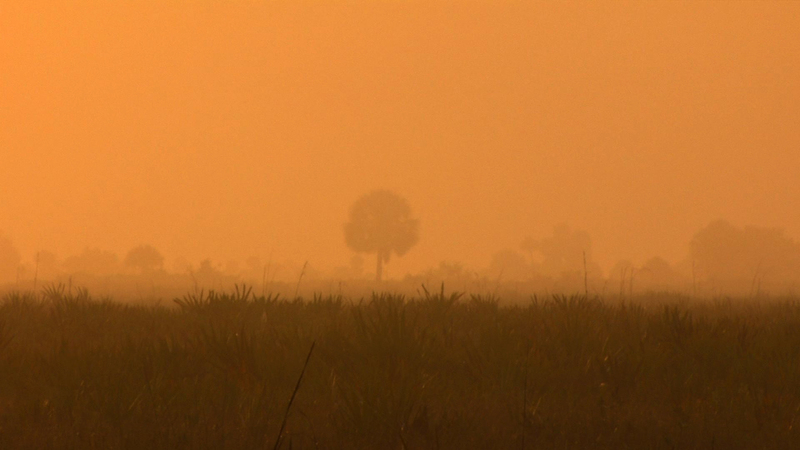 The team at Live Oak Production Group, spear-headed by Elam Stoltzfus, edited over 90 interviews over a period of 5 months and sorted through over 80 hours of film footage to assemble the completed Florida Wildlife Corridor: Everglades to Okeefenokee. The film premiered on Earth Day weekend in Florida and was released on public television nationwide in June. It has been featured in several film festivals including the Sarasota Film Festival and the Apalachicola Riverfront Film Festival. 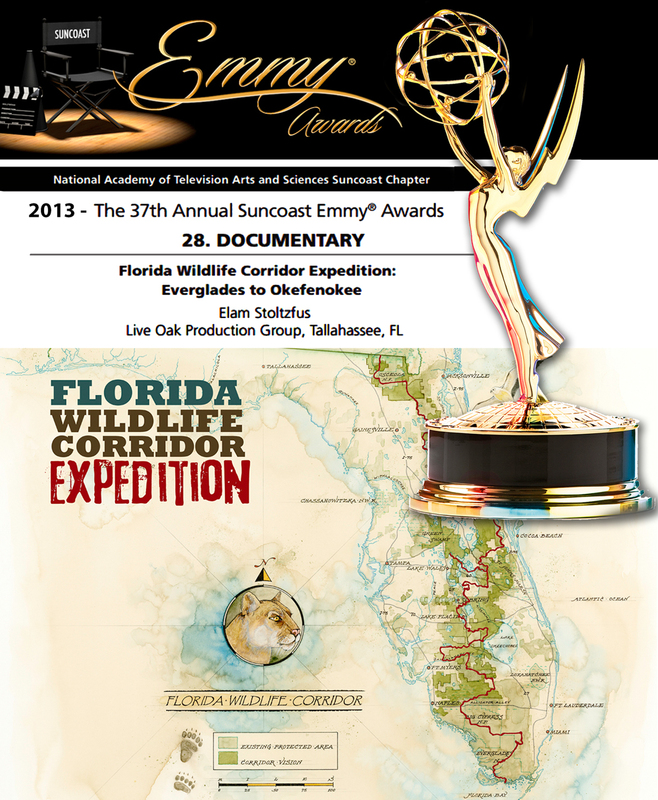 On Saturday, November 23rd at the 37th annual Suncoast Emmy Awards in Hollywood, Florida, it was announced that Florida Wildlife Corridor Expedition: Everglades to Okefenokee won an Emmy for Documentary category. The Suncoast Chapter of the National Academy of Television Arts and Sciences celebrates the best of television news in markets throughout the state of Florida, as well as markets in Louisiana, Alabama, Georgia and Puerto Rico. In early 2009 I was invited to attend a Cattleman’s meeting by a good friend of mine, Kimball Love. The meeting was about how conservation agencies and Florida cattleman can work closer together to preserve their land. This immediately caught my attention: cattlemen as conservationists? I gotta see this. 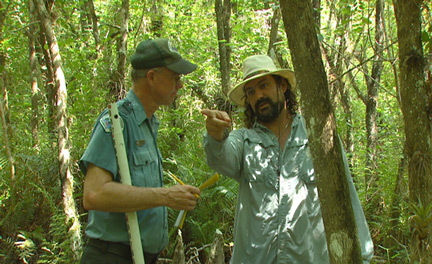 This meeting was the beginning of a three year project leading towards a documentary about the Kissimmee River basin. The Kissimmee River is one of the main arteries that flows into Lake Okeechobee which then seeps into the Everglades. 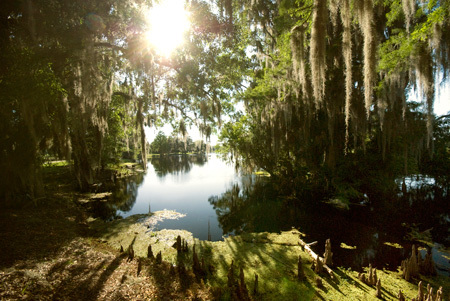 Because of its connection to the river of grass further south, the Kissimmee River basin is also known as the Northern Everglades. As I began gathering historical information and interviews from the community, I realized that the larger story was both complex and controversial. The more I listened and learned, I realized how important it was to craft a solid story for public education; a story of both the past ecological devastation and current steps towards one of the largest wetland restorations in the world. One of my first interviews was with Okeechobee rancher Sonny Williamson; after I was done with the interview he gave me a few names of other people I should interview. One person led to another, all forming a web connecting people in this region. This pursuit came with invitations to many locations, one being to Avon Park Air Force Range. On a hot August afternoon I interviewed an officer at Avon Park as he talked about the environmental work being done to protect 10,000 acres along the river. This was followed by a military training exercise with a Marines unit. Another unique opportunity was the opportunity to be part of a cattle drive on the Lightsey Cattle Ranch along Lake Kissimmee. The Lightsey family and farmhands wake up before the sun rises and work long after it sets. Cattle management in Florida has a unique blend of long proven techniques mixed with modern technology. Old time Cracker horses and Cracker cur-dogs are used to round and herd cattle across miles of open pasture areas; the same as generations past. The updates come in the form of electronic implants in the cattle used to track everything from health records, to date of birth, to current location. This information is logged in a computer and provides important management records. Flowers are pixie dust spread by the hand of God covering the world in beauty. Springtime on my granddad’s farm was spectacular – apple trees, dogwoods, and hedges all bloomed as winter’s frost receded. By the house, my grandma and mother planted bunches of violets at the windowsills. In the garden, there were lilies in late spring. My grandparents’ homestead was inspiration for me; I recall sketching images of flowers with pencils during my early childhood. As I delve into filmmaking, I continue my fascination with flowers. It’s always a challenge to capture a close-up, catching the best light to highlight the intricate features of a flower. I have traveled all over the state of Florida and my favorite place to film images of flowers are in the Big Cypress National Preserve and the Fakahatchee Strand Presreve State Park. Flowers across the landscape of South Florida are like twinkles on the icing of your favorite cake – a vast array of colors, shapes, and sizes from the swamp lilies to the bromeliads and to the elusive ghost orchid. On multiple occasions, I schlepped through the muckiness of the Fakahatchee with Mike. 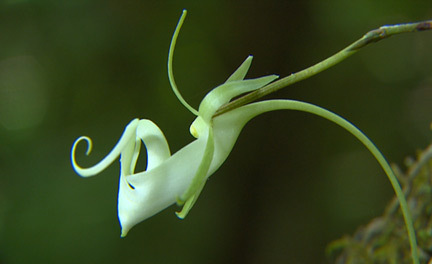 My goal was to film the ghost orchid as the flower unfurls into full bloom. 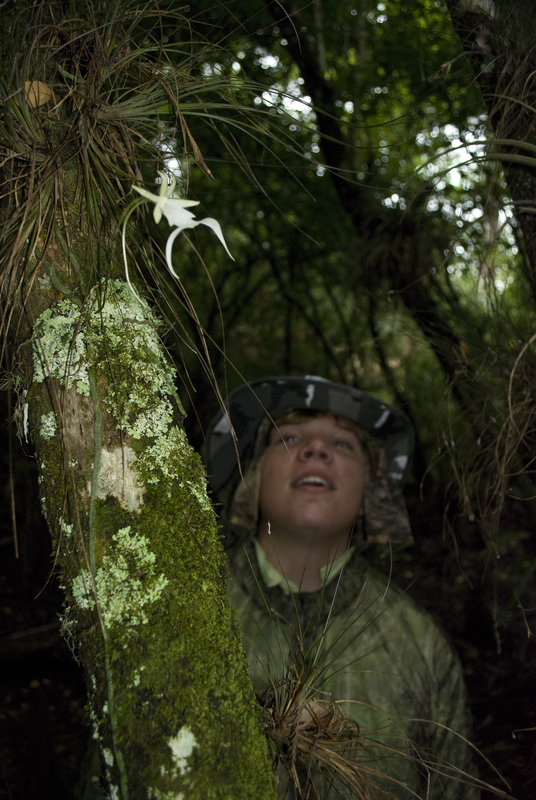 The smell of the ghost orchid is like a lady’s perfume, fresh and intoxicating. One of my favorite treks was a night trek into the swamp. I was hoping to capture on video the sole pollinator of the ghost orchid—the rarely seen sphinx moth. On this occasion, I went with Mike, my son, Nic, photographer Rick Cruz, and park director Renee Rau. We donned mosquito nets, carried the video gear into the swamp, set up lighting, and waited. And waited. If you have a garden, like I do, and want to learn more about how to plant Florida natives, I recommend checking out plantrealflorida.org. I have gotten several great ideas from their site. 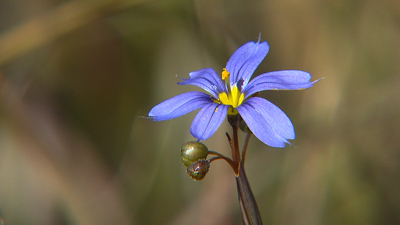 Also, if you want to support saving Florida’s wildflowers, consider getting a Florida Wildflower license plate. 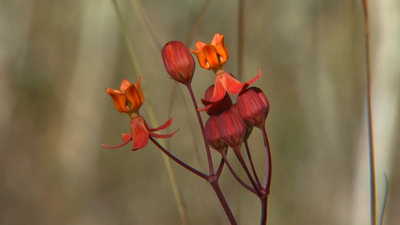 You can find more info here: http://flawildflowers.org/buy_it_here.php.